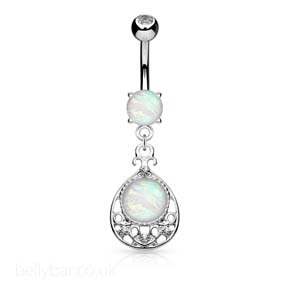 Pretty dangle belly bar with a oval design which features a faux opal stone, with a clear jewelled screw on top ball. Powered by ShopFactory to sell P12742 online. All-in one eCommerce and online shopping cart software.